I introduce my patterns unit by doing sound patterns with my kids...you know...clap, pat, clap, pat. I don't say a whole lot, I just do the patterns and let the kids join in. Then I let them make up their own sound patterns. I say, "Wow--you guys are really good at this! How do you know what comes next?" and we discuss. I want them to come to the conclusion that the patterns repeat--over and over again. Like everything else math-related, I do not directly tell them. I let them figure it out on their own--with a little pushing in the right direction from me. Then I ask, "Does anybody know what that's called--when something repeats over and over again?" They might say pattern--they might not. If they don't, I tell them. When they hear the word pattern--they will be dying to tell you that they know how to make patterns (most will have previous experience with patterns). So I ask them to tell me everything they know about patterns and I record it on a chart paper. I do not show them how to make a pattern; I do not tell them what kind of pattern to make (most will make a simple AB pattern, but do not be surprised to see something more complex). You can have the kids record their patterns in their notebooks, either free-hand or with a pre-made strip they can color in. During mathematician's chair, discuss again how they know something is a pattern and how they knew what color to use next. If anyone did make make an ABB or AAB pattern (or anything else)--use that opportunity to discuss whether or not that is actually a pattern, and how the AB pattern and AAB (etc.) could both be patterns. I find that when making patterns, most kids love to make AB patterns, but have a difficulty challenging themselves beyond that. In the past, I would have just shown them how to make ABB, AAB, or AABB patterns. But, now, I let them figure it out themselves. (I know, I know--I sound like a broken record!) I simply give them the challenge and push them through questioning, i.e. Can you only have 1 blue? What would happen if you used more? I have the kids record their patterns in their notebooks and bring them to the rug to share during mathematician's chair. Today is the same as yesterday--but with 3 colors, not just 2--which opens up a whole new realm of possibilities. I feel like children exhibit a true understanding that patterns repeat over and over again if they are able to break apart a pattern into the parts that repeat--or its core units. I have them start by creating a pattern out of core units...(Investigations relates these core units to cars on a train...I think that is a helpful analogy). I have the kids create a core unit with 2 or 3 colors. Then I ask what they need to do to turn that one unit into a pattern (repeat it over and over again). I have them build a pattern using that core unit, then I have them break it apart again. You can have the kids record their core units and patterns in their notebooks. For Mathematician's Chair, you can have them show their core units, build a pattern and break it apart in front of the group. This activity is inspired by the Investigations activity Break the Train. For this activity, I have the kids make any pattern of their choice out of Unifix Cubes (I encourage them to make a "challenging" pattern--something beyond a simple AB pattern). Then I have them trade patterns with a partner. I instruct them to find the part of the pattern that repeats and then break the pattern into those parts. I will post Week 6: More Patterns! later this week--Stay Tuned! 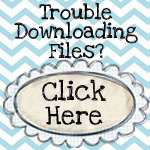 Can you post the printables you used? I would love to use them in my classroom for our pattern unit. Thanks. So glad you are back. I check your site more than FB. I love your ideas. I am anxiously waiting for science to get 'really' messy. . .as you described it. When will the next set of pattern problem soliving topics be posted? I want to do it again next week. I am hoping for Week 6. I need the next section for next week. My students have really enjoyed doing the pattern activities. Do you have all of your math journal topics posted? I would love to incorporate math journals into my own classroom, but I'm only a 2nd year teacher and have no idea where to begin! =) I also love how you write the date with their smileys- that is an excellent idea! I can't wait until week six! I am a kindergarten teacher in NC and our school district uses the Investigations math series too. We are doing a unit on patterning now. Since the Common Core Standards do not include patterning, we have been writing the objectives in as Mathematically Proficiencies KMP. 7 and 8. Anyhow, I was wondering if you could tell me why the "Break the Train" type of activity is important or relevant? (My principal asked me). All I can think of is the part to whole relationship... but I am not sure that relates to KOA.3. Any help you can offer would be greatly appreciated.